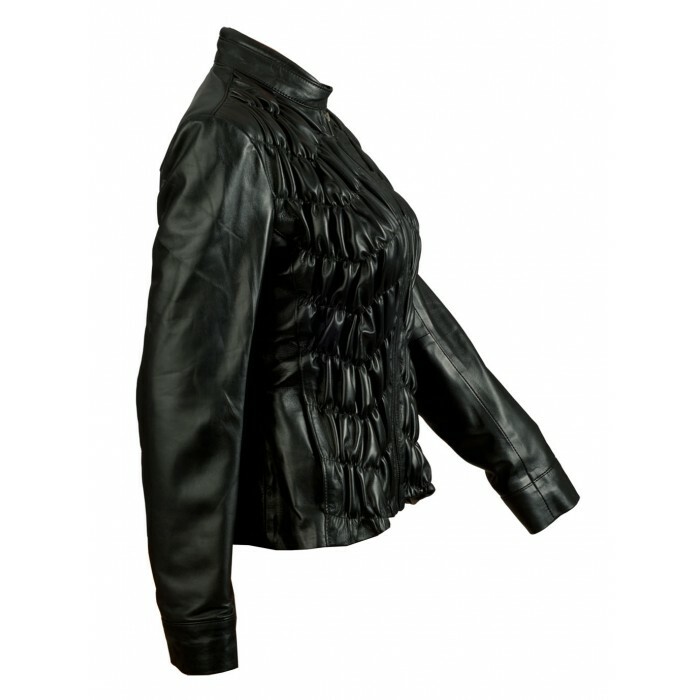 Incarnate your style with this vintage inspired ruched leather jacket. 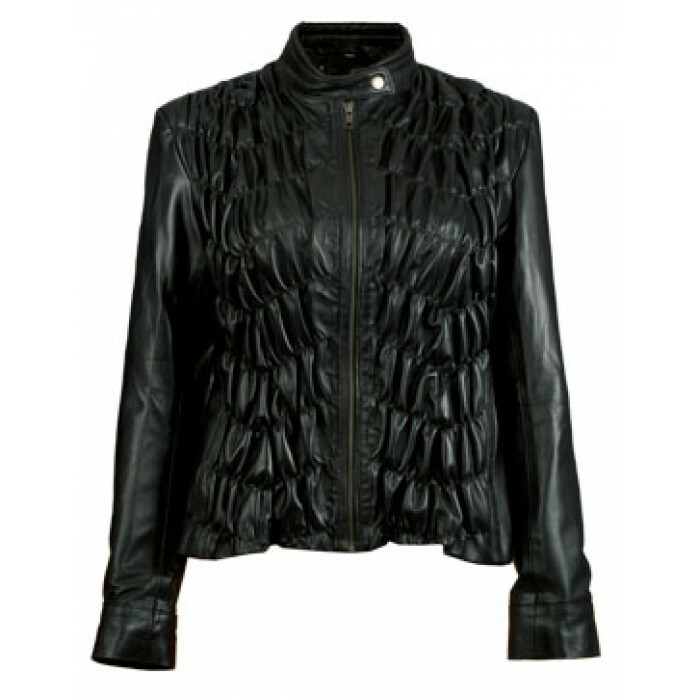 This exclusive piece is immaculately designed in angular v-shaped ruched front panel and concealed side pockets to give stylish, sleeker and trimmer outlook. 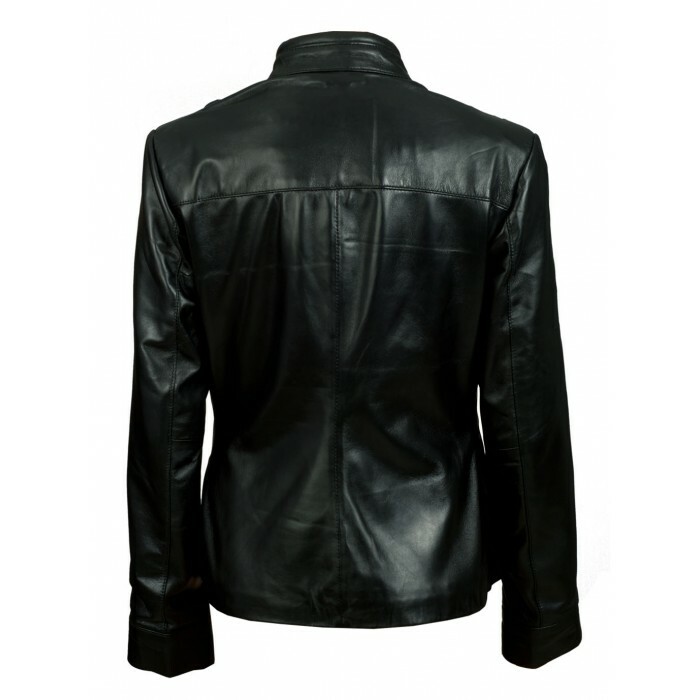 Illuminate your soul and live up your life with this simple yet elegant premium quality sheep leather jacket.